If there were a battle that summarized the pain and suffering of the common foot soldier, it would be the Third Battle of Ypres, better known as Passchendaele. Unlike the first two battles of Ypres, this time it was the Allies making the push; they jumped off this day, 1917. Hell was truly on the horizon. 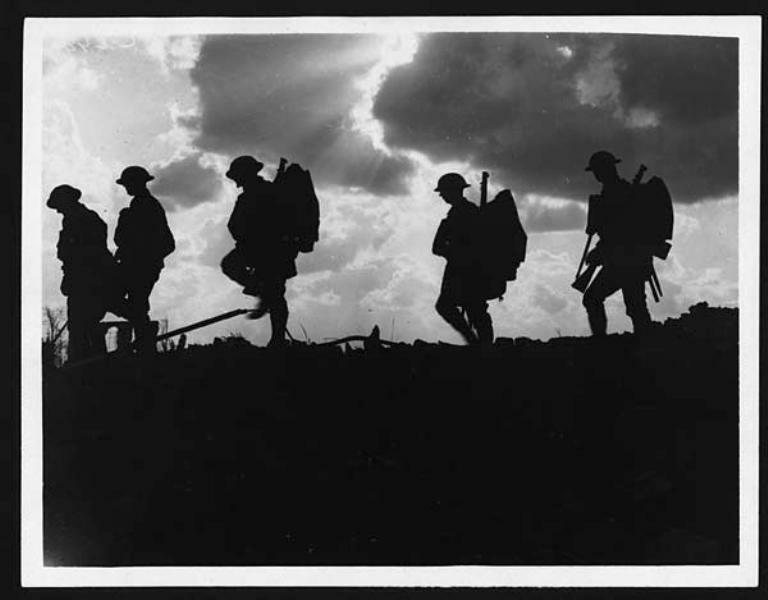 In “A Short History of World War I,” historian James Stokesbury says “Even the soil was bad. Soil may not be thought to be of much importance in military operations, but it is one of the supreme conditions of a soldier’s life, as he has to spend a great deal of his time digging in it, putting it in sandbags, and moving it from this spot to that spot.” The soil at Ypres was gooey clay, which when wet, turns into a clingy ooze. The heavy fighting in that flat, low-lying stretch of front had destroyed all of the dikes and waterways that controlled flooding, so rain meant misery. The objective of Gen. Douglas Haig’s brilliant offensive was to break the German line in the northwest side of the Ypres salient. Gen. Plumer’s successful mining campaign at Messines just down the line improved the possibility of pulling off this maneuver, although the right flank of the attack would still be up one of those little molehills they call ridges in Flanders. Once the troops achieved this breakthrough, they would hook up with an amphibious landing in Belgium, then cut off and surround Germany’s flank as well as its U-boat bases. Sounds like a pretty good plan…but like so many plans, there were problems, mainly rain and a 13-day artillery barrage that had churned the soil into muck. The soldiers were expected to advance through this. A good number of attacking soldiers actually drowned on the battlefield. In the end, the British did end up taking some land. The distance of the drive, however, cost them one man for every inch gained. The only good thing I see coming out of this is that it sped up the notion that the old way of fighting just didn’t work (wow, now THERE’S a news flash!) Somehow, someway, the era of siege warfare needed to end, and a strategy to get into a war of movement was essential. Men of a Yorkshire regiment moving up the line. National Library of Scotland photo. This entry was posted in Battles, Books, Britsh, Ypres and tagged Passchendaele by World War One Historical Assn. Bookmark the permalink.